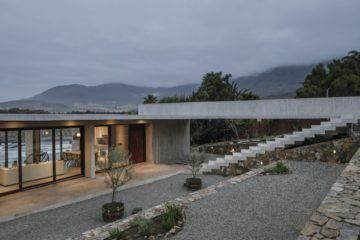 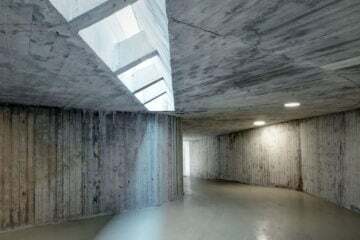 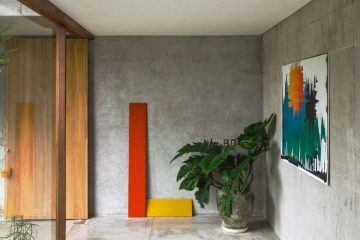 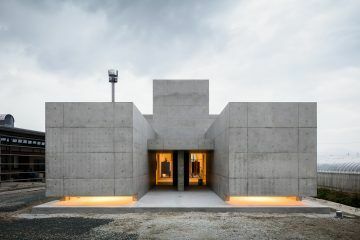 In the town of Malagón, Spanish architecture firm Estudio Jesús Donaire has transformed an agricultural lot, designing a rectilinear concrete home that sits buttressed between the traditionally built tapial walls that edge the parcel of land. 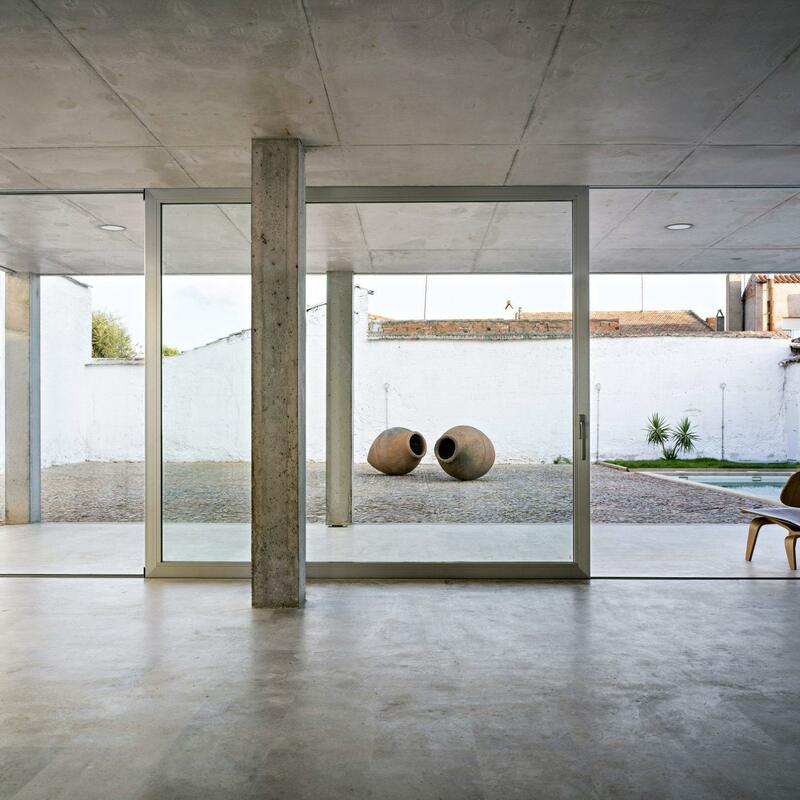 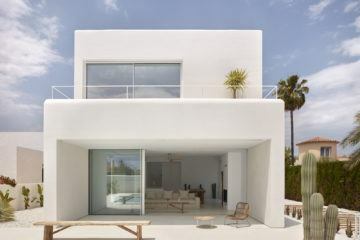 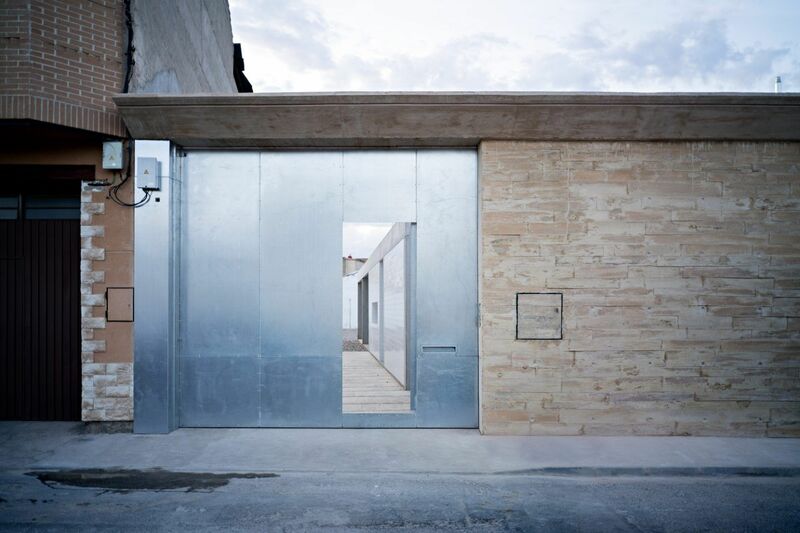 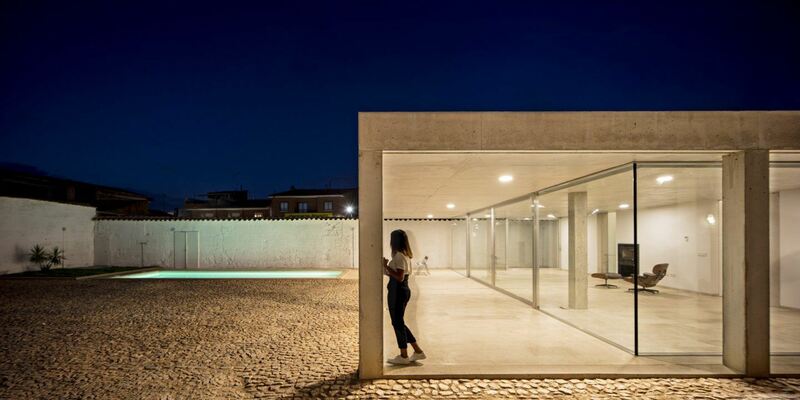 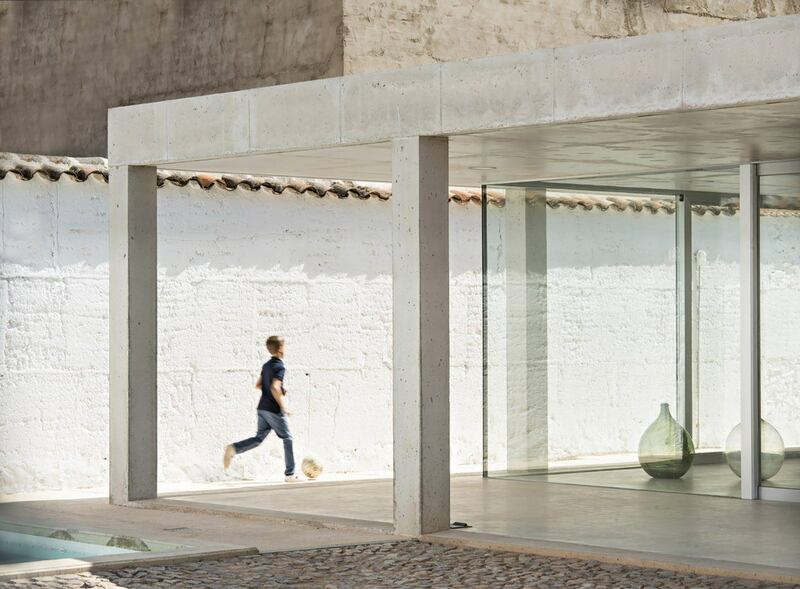 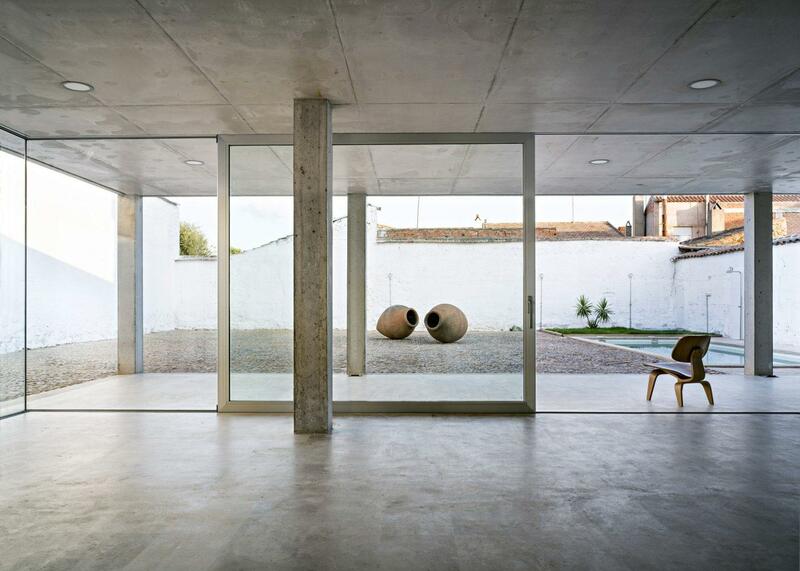 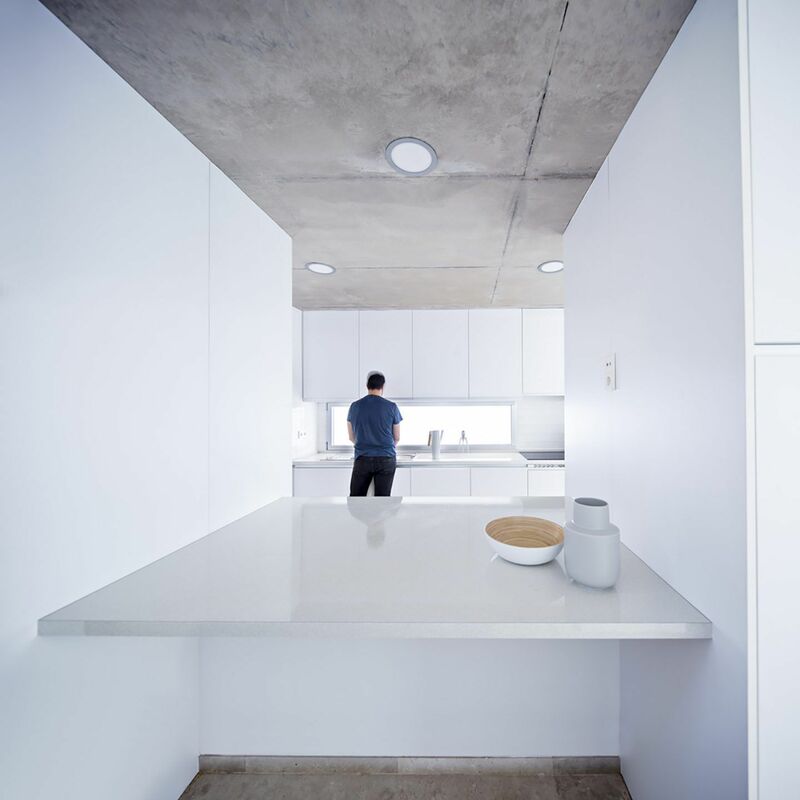 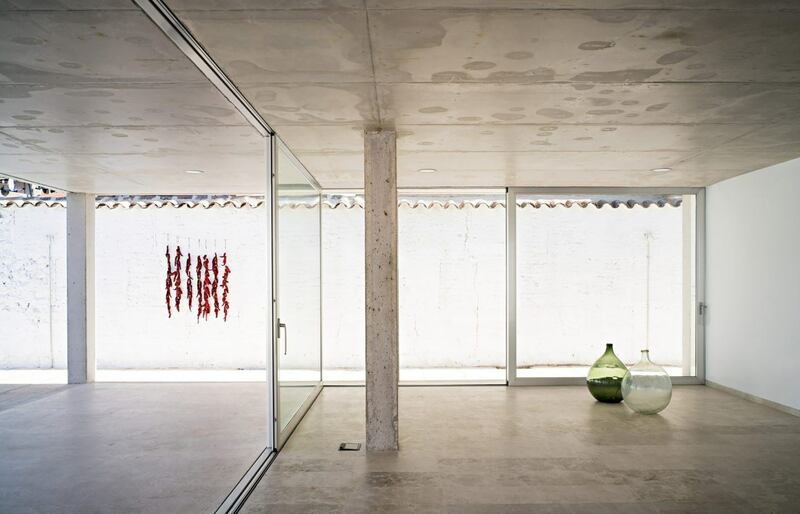 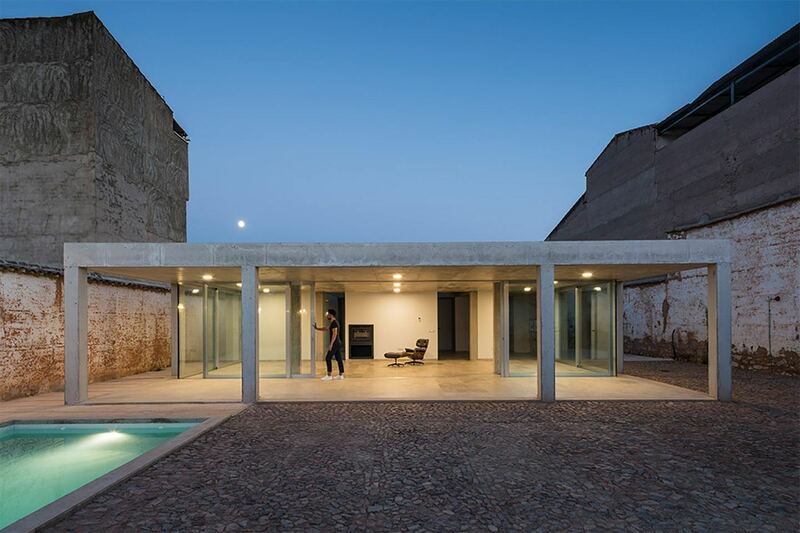 After seventy years as herreñal—a piece of land in which grain is sown—the site has been thoroughly reinvigorated with the addition of a 290-square-meter home, titled ‘Casa Entre Tapiales’. 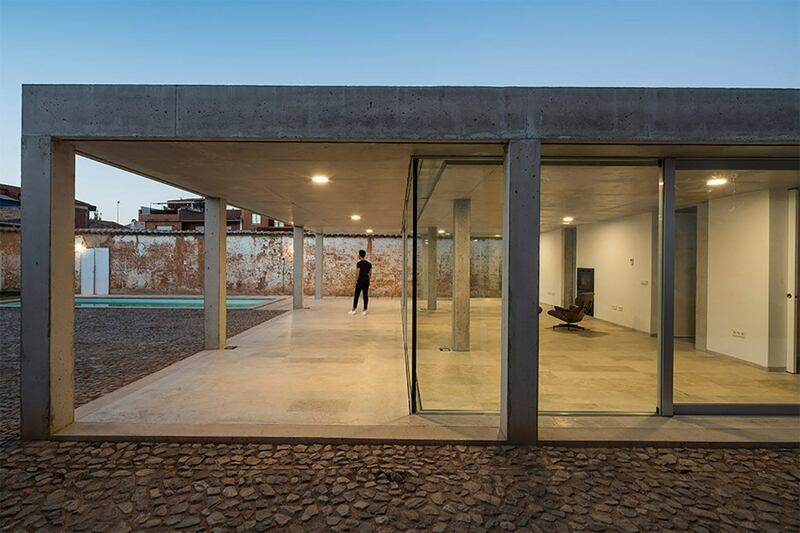 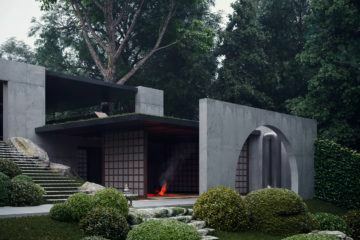 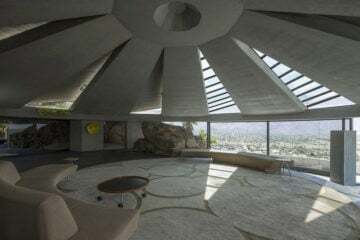 The simple construction has been completed in concrete, with large glass windows opening the social areas onto the patio with a pool; and the private areas, bedrooms and bathrooms, are sheltered at the center of the home. 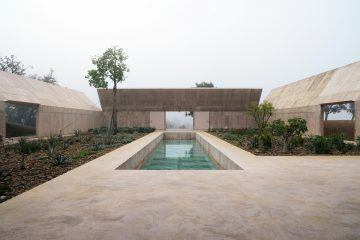 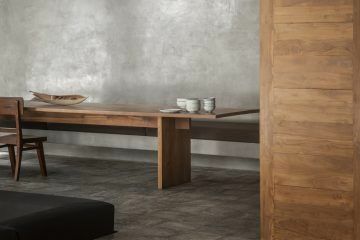 The original rammed earth walls have been thoughtfully repaired and remain a feature of the home; their texture and color bringing warmth to the otherwise monochromatic site. 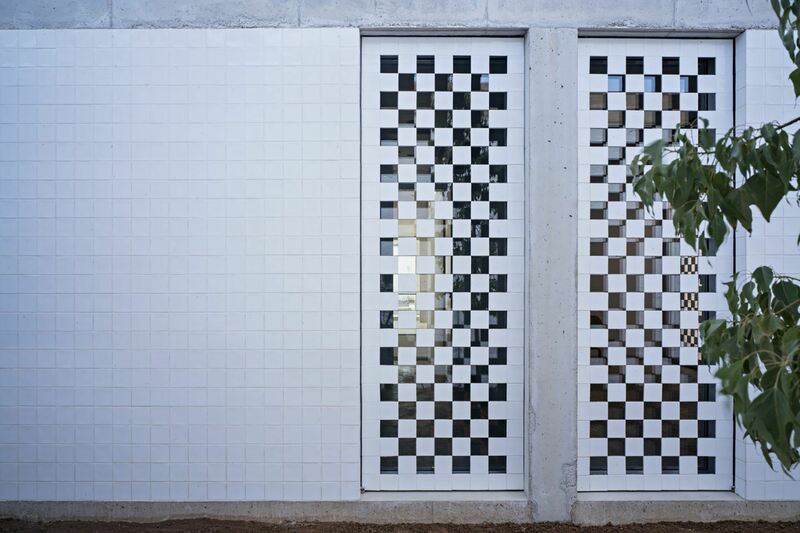 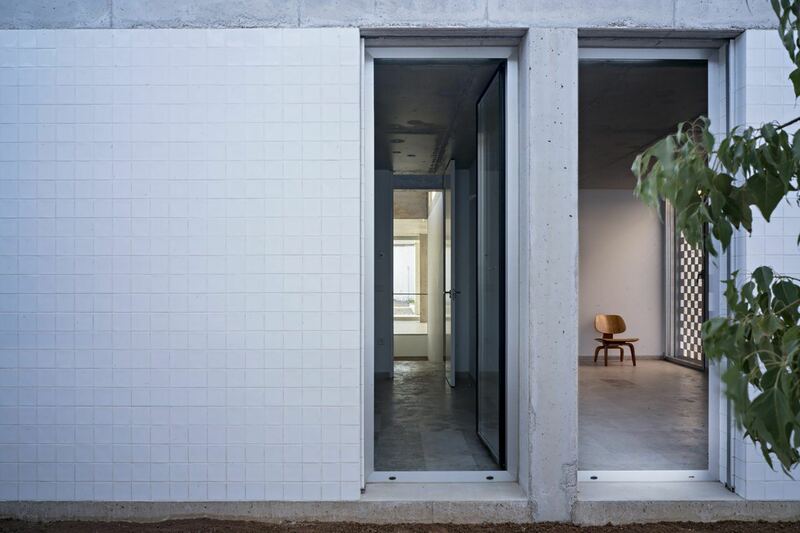 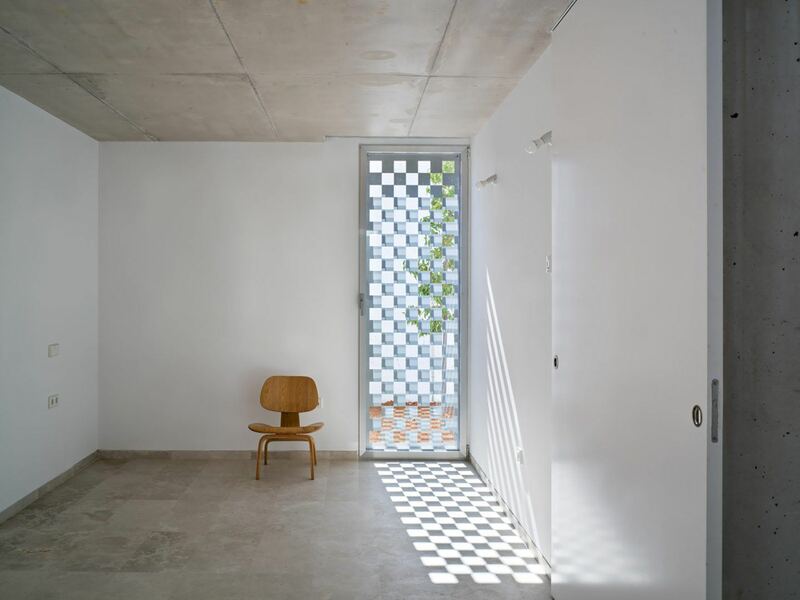 White tiles have been affixed to the north side of the property, their reflective quality designed to enhance the presence of the tapial walls, whilst offsetting the effect of intense sunlight.